 【PREMIUM MATERIAL】— Well made of superior imitation of cashmere, extremely soft and skin-friendly, hard to fade and fuzz. The best material to protect you from the winter.  【GENEROUS SIZE】— One size fits all,it is loose-fitting. It fits effortlessly on women of any size, whether you want to hide flawed areas while still looking stylish.  【DOUBLE SIDES】— Fully reversible, you can choose to display the dark side or the light color side, or you can play with your folding methods or twist to display both complimentary color patterns. Made of high quality fabric, a soft, comfortable, warm shawl wrap for women.This winter plus size cardigan sweater coat is suitable for any occasion. Wear it to work over a plain long sleeve top and with skinny jeans and get much compliments. 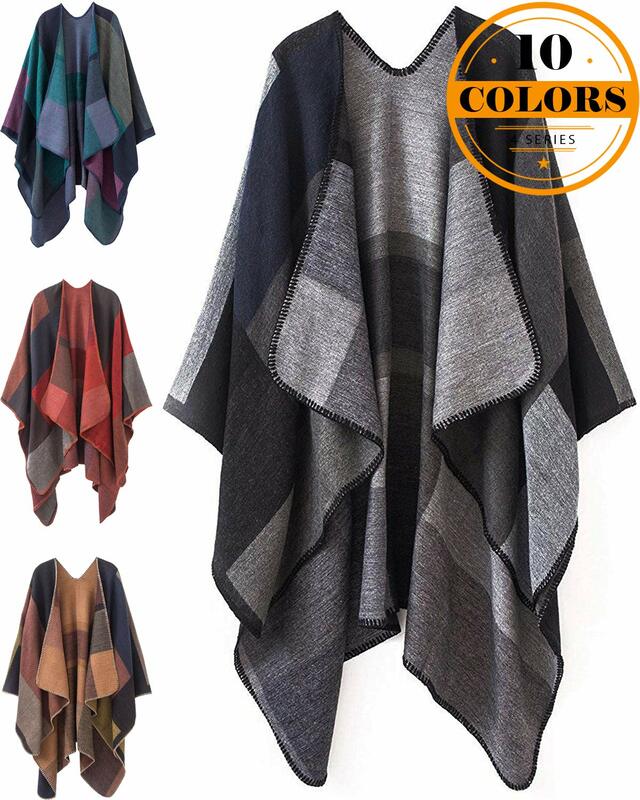 This stylish color block poncho is large enough to wear in several different ways for both fashion and warmth. Oversized scarf poncho makes an attractive and practical addition to your fall and winter wardrobe. Easy to double over and wrap around your neck or head to keep you plenty warm during very cold weather. or you can play with your folding methods or twist to display both complimentary color patterns. or wrapped around your neck to protect you from winter’s chilly wind. The color combination is great and versatile. It can be paired with any outfit and looks great. 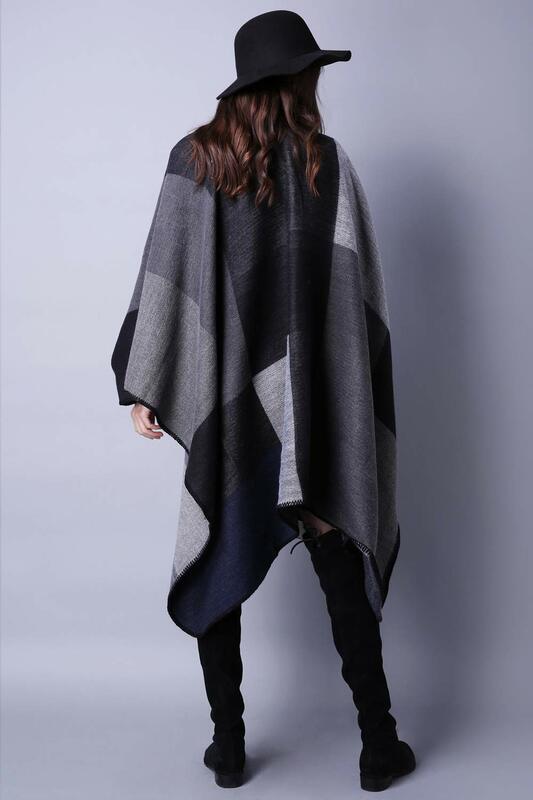 The blanket poncho is great for women casual winter wear. It looks fashionable with your boots or skinny jeans. This blanket poncho cape is perfect as a layered top for cool day out or even at the office to keep you warm. 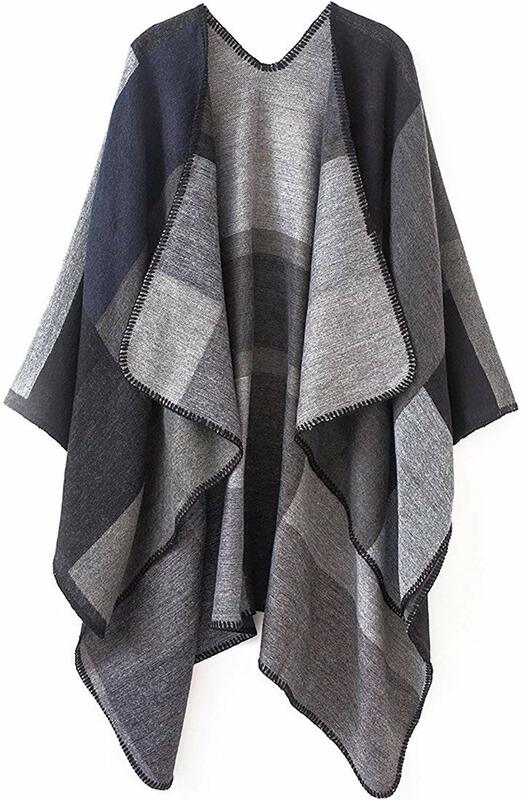 This oversized blanket poncho shawl offers an effortless elegant alternative, or compliment to jackets and cardigans. It looks great over anything, creating a beautiful sihouette. Perfect for traveling and coordinating with a variety of outfits. 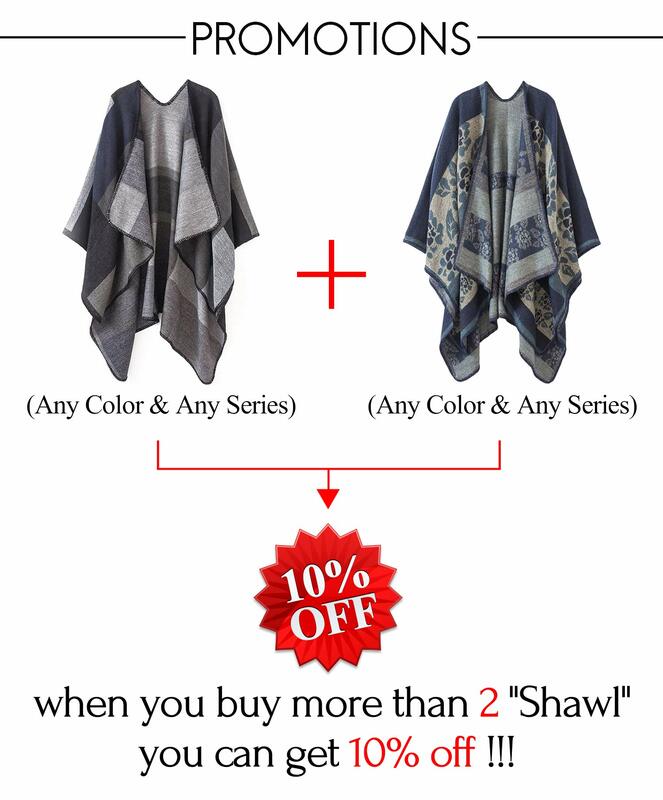 The large blanket poncho shawl is great to be a winter holiday gift for your mom, girlfriend.  【SUITABLE OCCASIONS】— Perfect for casual outings, school, office, party, wedding, evening, vacation. Different colors can wear as double sides. Easy to wear and pair with legging, tight jeans, dress, boots.